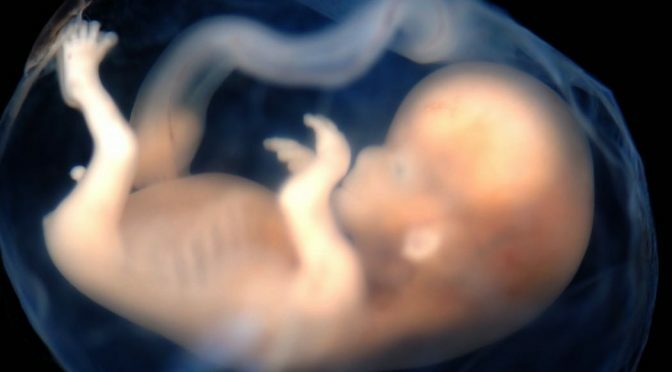 The cells of an embryo get their roles when they are capable of differentiating autonomously in a neutral environment such as a petri dish or test tube. (the environment is neutral with respect to the development pathway.) This process of giving different roles to embryonic cells is called Cell Specification. In this case, if a particular blastomere (a cell formed after cleavage) is removed from an embryo early in its development, that isolated blastomere will produce the same cells that it would have made if it were still part of the embryo. Moreover, the embryo from which that cell is taken will lack those cells that would have been produced by the missing blastomere. Invertebrates embryos, especially those of mollusks, annelids, and tunicates often use the autonomous specification to determine roles for their cells. It was first demonstrated in 1887 by a French medical student, Laurent Chabry. Laurent Chabry was curious to know the causes of birth defects and he reasoned that such defects might cause by lack of certain cells. He then started isolating specific blastomere of a tunicate embryo to produce specific malformations. He found that each blastomere has its own specific role in producing a particular set of larval tissues. However, in the absence of blastomere, the larva lacked only those tissues that would have been produced by the blastomere. In this type of specification, each cell initially has the ability to play many different roles. But, the interactions of the cell with other cells decide the fate of one or both of the cells. This mode of the specification is called conditional specification because the fate of a cell depends upon the conditions of surrounding tissues. In this case, if a blastomere is removed from an early embryo, the remaining embryonic cells adjust their roles in a way that the roles of missing blastomere are also compensated. This ability of the embryonic cells to change their fates to compensate for missing part is called as regulation. The conditional specification is mostly seen in vertebrate embryos. Many insects use this type of specification to distribute roles to their embryonic cells. Here, the interactions do not occur between cells, but between parts of one cell. In this case, the cells in early embryos do not divide completely. There is no division of cytoplasm in such cells, rather nuclei get divided within the egg cytoplasm. This leads to the accumulation of a large number of nuclei in a single large cell. A cytoplasm that contains many nuclei is called a syncytium. Generally, embryos never use a single mode of the specification, rather they prefer a mix of the above-described modes. For example, Insects such as Drosophila use all three modes of the specification to distribute different roles among its embryonic cells. Previous PostWhat is the physical basis of life? Next PostWhat is Eutrophication? What are its Causes & Effects?